Bright white LEDs have progressively made their way onto all kinds of electronic devices. 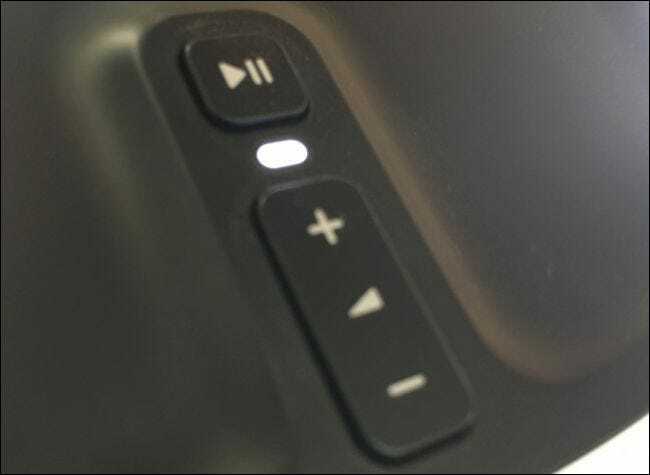 If you own a Sonos player, you’re already aware that they too come with a bright white LED on top, which can be distracting in dimly-lit rooms. Don’t get us wrong, white LEDs are cool and add a nice touch to even the most humble of devices, but that doesn’t mean we want them glaring at us in a darkened room. 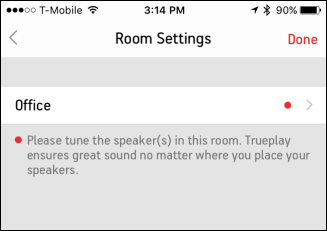 There are many ways to dim those glaring LEDs, but thankfully, Sonos has a built-in option for turning theirs off. While the Sonos white indicator light isn’t super bright, it’s bright enough to emit a glow that may bother you in a darkened room. 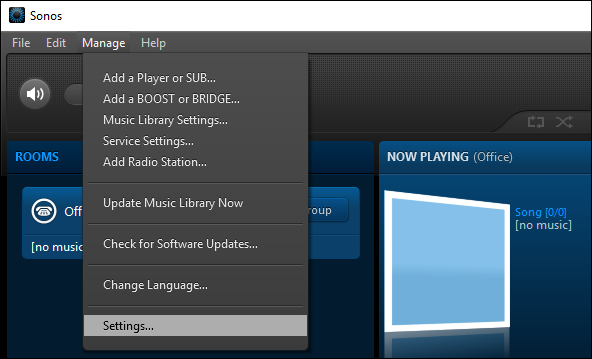 First, open the Sonos app and click the Settings. 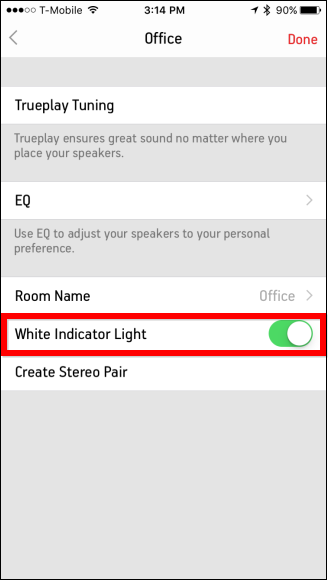 With the Settings open, all you have to do is uncheck the box next to “White Status Light On” and that’s it, no more LED. 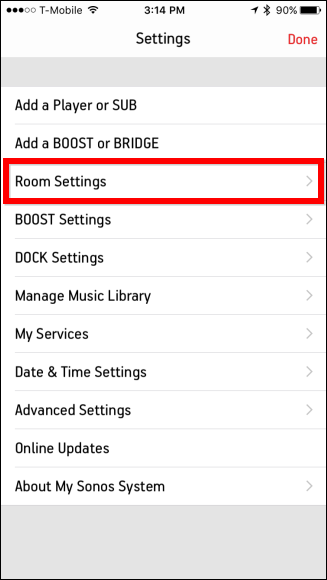 To do this on the mobile app, first tap open the Settings and then “Room Settings”. 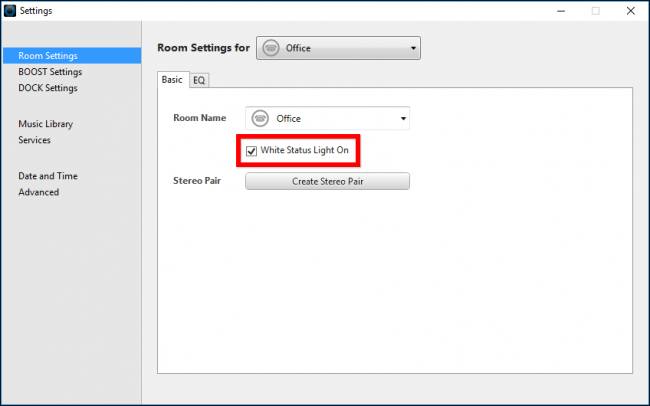 Next, tap open the room for which you want to change the white status light. In this case, we’ve only one room to worry about, but you might have several. Finally, tap the button next to “White Indicator Light” and you’re done. This sure is a far more elegant way to disable this LED light versus using a piece of electrical tape or a Post-It note! In order to turn the LED back on, simply reverse the process.